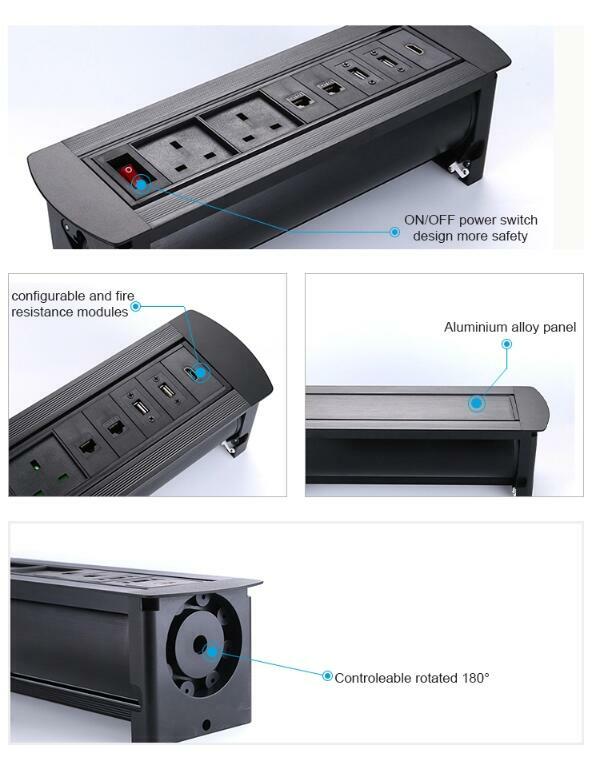 Motorized Series rotatable tabletop socket is mainly used in advanced office, hotel and home, training room, lecture room. 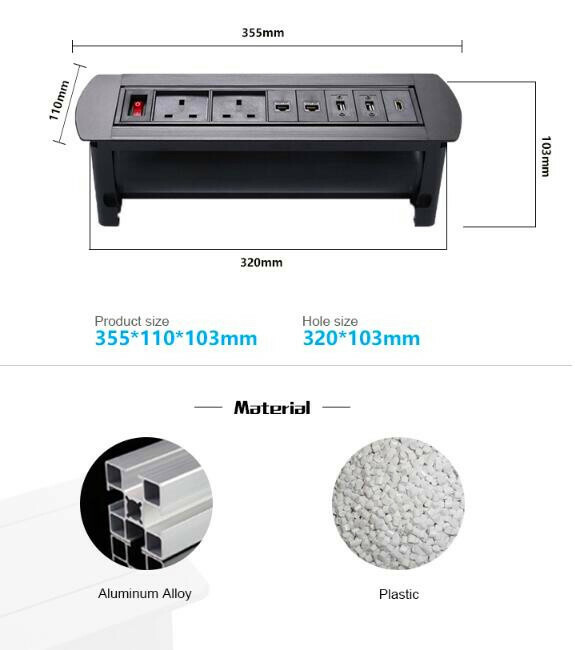 Tabletop socket could be used with other installation surrounding together. 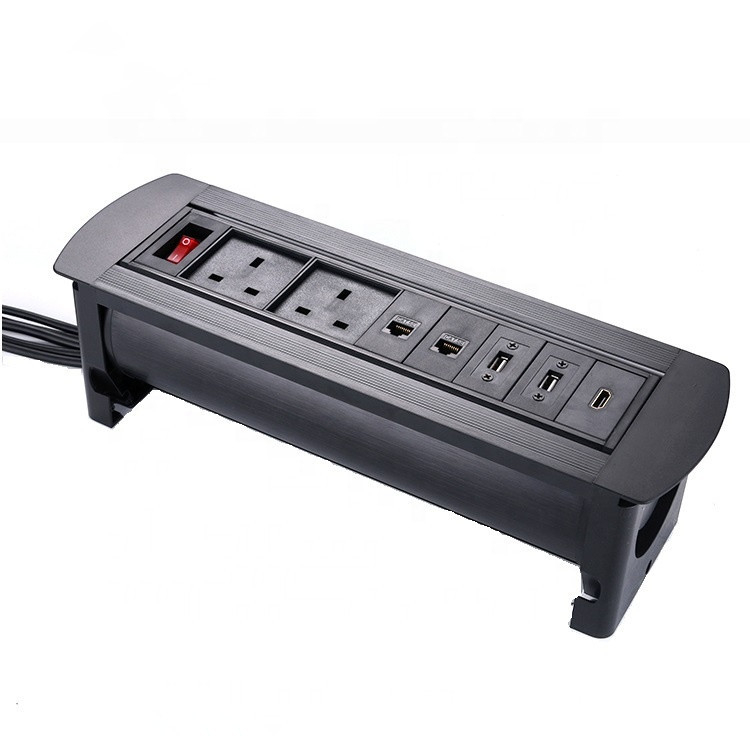 When power with the desktop power socket, the indicator light is power on, product come to working sation. Press the up/ down switch, all the multi-functional sockets could be rotate 180 degree to whatever position as needed. 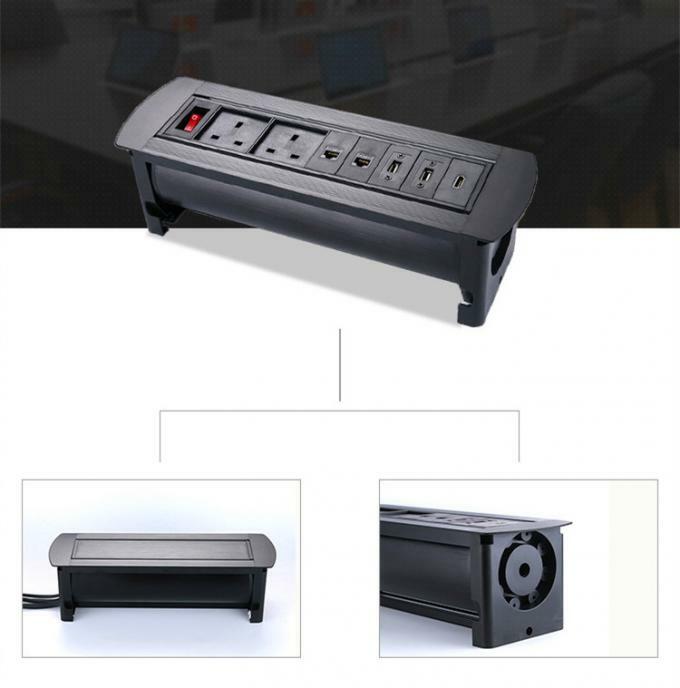 All configuration on desktop socket could be hidden under table if unused and would be rotating into the tabletop by automatically.